I'm still a beginner so bear with me. I am studying astrology mainly from Ben Dykes' translations as well as Valens and other early sources. I prefer whole signs. Emperors, generals, and praetorian prefects are the indication of Saturn in the tenth house, that is the MC. If Saturn is on the MC by day and in his exaltation with the Sun on the ascendant, this will make respectable farmers of good character, but wealthy, whose holdings are near the sea: rivers, or lakes. It will also provide large income, great glory, and inheritance from important persons, especially if Mars is not in aspect. But if Mars is strongly aspected he will diminish this good fortune. This sounds quite positive, compared to what I found what modern astrologers said about a 10th House Saturn. Incidentally, I found that James Goldsmith, a person I quite admire, also is a Taurus Ascendant with a 10th House Saturn. I hope that my own career can be a tenth as successful as his was. Firmicus does also add that the Mars and Mercury under the rays of the Sun make a native intelligent but prone to deceit and trickery, with Jupiter in a positive aspect hiding any crimes while Saturn revealing those crimes. I am not deceitful to people I know in real life, but I have tendencies towards anti-authoritarian attitudes. According to Abu Bakr (in Dykes' Persian Nativities 2) with regards to "dominions" (IIRC a translation of Latin regnum for whatever was the original Arabic, which doesn't have to mean a literal kingdom, but can be e.g. a field of mastery), we have to look at the MC and its lord. In this case Saturn is indeed lord of the MC in his own house. Saturn has a square aspect with Venus (Lord of the Ascendant) in the 6th House, which I am not sure whether is positive or negative. Abu Bakr says that having no aspect between the 10th lord and the ASC lord is bad, but is a square still good? Most of my planets are also in the Western hemisphere, which suggests, according to Abu Bakr, that my mastery/dominion will happen in the later part of my life. Abu Bakr also adds on that Mars, Venus, and Mercury are the three planets signifying mastery and that the other four planets only signify masteries through the three. My Saturn has a sextile with Mars and a square with Venus. But my Mars is under the rays of the Sun (together with Mercury). 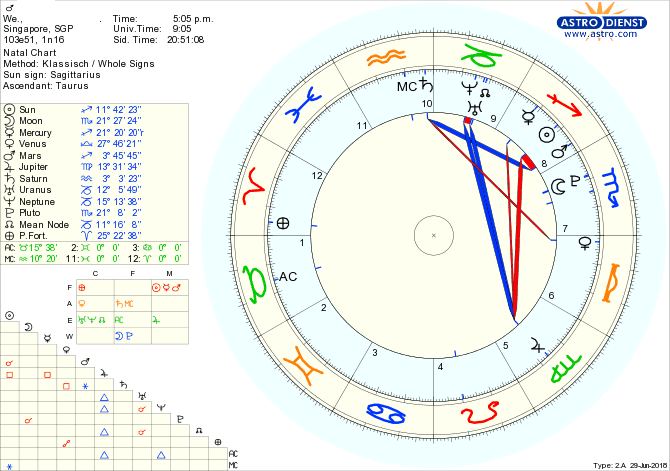 So putting it all together, I think my chart suggests that my career can be pretty successful in the later part of my life but it will have to come about from hard work. I might do better in Saturnine pursuits, i.e., long-lasting things that involve toil and perhaps really outright digging. Is there anything more to add to this? I have been working in my current job for slightly past one year now. The salary and hours are not too bad, but there is a lack of progression. I am thinking of either going back for further education in computer science or getting a sales/business development role. I have hopes of starting my own business in the future. I am not sure if my chart would indicate any particular path out of those options. On relationships, my 7th House is Scorpio. Its lord Mars in in conjunction with the Sun and Mercury as mentioned above. Venus is in the 6th. I'm not sure if I am reading the chart correctly, but Venus is "above" Saturn in their square aspect? As in, this is a dexter square aspect from Saturn to Venus? Maternus says that Venus above Saturn in a square indicates respectable wives, but both spouses will dissimulate their affection, while Saturn above Venus indicates bitter experiences with women. Abu Bakr has a lot of instructions regarding 7th house matters, but basically it seems that with my Venus in the 6th as well as its aspect with Saturn, my wife/partner is likely to be low-born or old? just a couple of comments... welcome to skyscript! venus is not square saturn in the way i understand traditional astrology.. the 2 planets are both in air signs... so, hopefully some of the trad gurus can comment on this more at length as it has always mystified me coming from modern astrology and thinking in terms of degrees, as opposed to signs..
getting more education in computer sciences sounds like a smart option... i am not sure if that is saturn in aq, or saturn on the other side of the midheaven in the 9th - un whole sign talking, but i think it is a good idea.. good luck figuring it out..
My birthdata is 4 December 1991 5:05pm Singapore if you want to do a non-whole sign chart. I tried it out and it seems that the main differences for me would be Saturn in the Ninth and also Moon, Mars, and the Sun all in the 7th under Placidus. The other planets are mostly the same. I find this a bit hard to interpret. So my 7th house lord is still Mars and he is in the 7th, but he is under Sagittarius. He is not in his own domicile, but does he still have a strong influence? I met a friend who does have Saturn in the 9th whether under whole sign or modern signs, also in Aquarius. She worked for a while as an archaeologist but shifted to computer science too. Personally, I follow out of sign aspects. They are often relevant in horary and I have Mars in Aries in the 10th square Jupiter in Leo and I see this aspect being true, although I suppose its energies could be explained in other ways. The fact that Venus is within 5 degrees of the next sign is itself an unstable placement and means it takes on the energies of both Libra and Scorpio also, according to Bonatti. My Jupiter is on the cusp of Cancer and I relate to both Jupiter in Cancer and in Leo (and in Vedic it is in Cancer). By being the ascendant lord, this could suggest someone who is indecisive, changeful and maybe even changes their own appearance frequently, in spite of a fixed Taurus rising. I am not sure if I am reading the chart correctly, but Venus is "above" Saturn in their square aspect? As in, this is a dexter square aspect from Saturn to Venus? Maternus says that Venus above Saturn in a square indicates respectable wives, but both spouses will dissimulate their affection, while Saturn above Venus indicates bitter experiences with women. Venus is looking backwards from Libra towards Aquarius, making this a sinister aspect. If it were aspecting Saturn in Leo it would be dexter, for example. In this aspect Venus would be said to dominate but that is kind of irrelevant in my opinion since she is under the influence of an angular strong superior who receives her. Planets that are received by a dignified planet that is stronger than them are often influenced by that planet. I would say Saturn holds not only an influence over the career but also the personality, appearance and health, etc (things of the 1st house). Saturn in the 10th can show becoming successful after a lot of hard work, climbing your way to the top after mastering something, and your chart shows a little similarity to Howard Hughes's, who also had interest in technology. However, I think one of the reasons he was so successful was also his Pluto in the 1st. Saturn is generally more positive in the 10th when it is dignified like in your chart. When in poor dignity, it can show reaching a high position but then having a fall from grace and possible ruin, such as in Hitler's chart. Often the 2nd house can have influence over career and help describe it and yours is also ruled by Mercury, suggesting something that uses intelligence, communications, writing, etc., and in Sagittarius that could include more broad topics, especially with Mercury square Jupiter, which is not the best placement for a specialist - the small details can be glossed over. To me this would seem more difficult for the computer sciences because you might be more interested in more broad ideas rather than the fine details that it would entail -you might find that boring. Jupiter is a superior and they are more interested in bigger ideas, even though they may understand many concepts (knowing the ins and outs of everything might not suit them though). I don't necessarily view Mercury under the beams or combust as prone towards lying. Sometimes the person can be more private or just in general holds a lot of pride in their intellect. In Sagittarius I would say Mercury is also overly hot by being in a day chart, with the Sun and in a fire sign, so the intellect can go one of two ways: it might show lack of attention due to getting bored or losing focus, or it might be sharper and maybe even a genius at understanding certain subjects in some cases - information comes quickly. It depends also on how swift Mercury is and what it aspects - here it holds the light of Jupiter, although both in detriment they are in mutual reception, suggesting some superior intellect. Mercury is always within a few signs of the Sun and is often combust. It is a common aspect. However, Mercury is a trickster planet and when in detriment and in the 8th, that might suggest some dishonesty. With the Jupiter square and influencing Mercury (and in mutual reception), my guess is you more so promise more than you can do rather than lie on purpose. You may not realize you break your promises or don't place much importance in keeping promises. This is a placement that is sometimes seen in the charts of salesman because they are good at making an idea sound good to someone but don't always follow through on those promises. You mentioned the idea of sales and in the 8th this is a pretty good signature placement of a salesman, so I wouldn't be surprised if you did work in that field or used salesman tactics in your career. I have the aspect as well and I am a bit guilty of talking people into doing things fairly easily, or writing in ways that are persuasive, but I am not a salesman (but I also have Mercury applying to trine Saturn, which is rather different). Some might say Mars in the 8th could gain through losses for others and can sometimes show dishonest things like tax evasion, etc. but you have enough dignified planets in your chart that seem like they might help control more negative energies. If you are aware of any negative tenancies to take advantage of others, hopefully you will correct that behavior. Regarding aspects between the 10th ruler and the ASC ruler, my guess is that Firmicus would also take into consideration whether or not the 10th ruler beholds the ascendant and here it would via square, but it also is able to see Venus by sign, since they are in the same element. I would personally regard the square between Venus and Saturn but it wouldn't be as strong as one that was in the correct sign placement. Still, since Libra is a sign of long ascension, a square from that sign is viewed more so as a trine and Saturn would receive Venus via exaltation and is itself dignified, so it is not as difficult as it could be. The idea of a planet aspecting a house or its lord is in general important in traditional astrology. I personally would rather see the ascendant ruler behold the ascendant than the 10th house because that means the person has a better handle on their own life rather than working against themselves. Still, a dignified ruler as the lord of the 1st can be good at being in control of their life (if not afflicted). The 2nd ruler in the 8th seems like a strong indication of income through the finances of other people, such as in working in sales or finances. While you do have indications that suggest interest in technology, it seems like your career focus would be more so in something else and will likely involve a partnership of some sort, since Mars is ruler of the 7th and is in the 8th and aspecting the 10th ruler. Pluto in the 7th further emphasizes some joint finances. It could even be that your future wife/romantic partner is your business partner also and with Pluto in the 7th house, they could be a powerful person in business but Pluto in the 7th can also be a warning to be careful of who you trust and often those who have this have trust issues for a reason. Often there is at least one major relationship (not necessarily a romantic one) where trust is broken beyond repair and it shapes the way you view the world, since the 7th deals with how we view others in general. Scorpio on the 7th cusp and Pluto in the 7th suggests at least one long term relationship but relationships are unlikely to be easy for you. I don't see indications of an older romantic partner but they are likely to be aggressive, outspoken and probably have a dark complexion/hair. Since Mars is in Sagittarius, they could be a foreigner or have a different background than yours. I am guessing you will also have children, even though your 5th is in Virgo, a barren sign. I rarely see someone with Jupiter in the 5th, even in Virgo, who ends up childless and Moon in Scorpio is a pretty fruitful placement as well. I don't like Placidus or Whole Sign, so we are all in disagreement here. Hahaa. Even if Saturn is in the 9th, it still lords over the 10th and is elevated. Very interesting Tanit, thanks a lot! Yeah the out of sign aspects thing was something I wondered about for a while -- the earliest Hellenistic astrologers didn't pay much attention to the degrees at all; Vettius and Firmicus both really just talk about the signs for example. I remember reading that Chris Brennan does consider out of sign aspects too but with the situation like with my Saturn and Venus, it does seem a bit complicated as by signs alone it would be a trine. Anyway, yeah I actually always had difficulty finding an interest in details I don't care about. Sometimes I can give the impression that I know the details, and in things I am interested in, I might really look into the details, but one thing I really hate for example in my daily job, is aligning textboxes, pictures, etc in PowerPoint, which I have to do for work. I have been learning computer science from online resources. I really like Python and some other "clean" languages, but I find HTML dreadfully boring because you really have to care about the colouring, alignment, fonts etc. I watched this talk by a nun, Tenzin Palmo earlier today, she talked about how in general Japanese like to take care of the little details in their art, like ikebana (flower arrangement). Most Tibetans don't care about stuff like that, they would just put the flowers into a vase. When I was young, I was very interested in Japanese anime and learned Japanese to a relatively good level, but over time I lost interest in Japanese culture, in large part due to what to me seems like OCD-like behaviour, no offence to any Japanese . What you said about salesman like characteristics is interesting. I never had a face to face sales job, but I did sell stuff online for a bit, and I think my copywriting skills were not bad, with barely any practice. I am not really a loud party type (probably when my Saturn kicks in) but I am not embarrassed to speak up or to engage people in conversation -- although my topics of interest are usually ... more atypical than most people. I do try to manage my tendencies and to talk about more "normie" stuff but it does bore me. I don't take advantage of people knowingly but I feel like quite a few times people have just like given way to me -- a few times in the past I have knowingly taken advantage of institutions and their rules, but I don't regard it as the same. In general I think I do basically fit the physical description of a Taurus ASC -- relatively tall, build muscle easily, broad shoulders, but I do have a tendency to gain weight if I don't watch my diet -- the main way I diet in fact, is fasting, which might be regarded as Saturnine. So overall, I think my appearance and personality are on the surface Venusian but strongly conditioned by Saturn beneath the surface. It's interesting what you said about a future business partnership with my wife/partner. A few other modern astrologer friends I showed my chart to said similar things. One also added that I might do well in fields with more women, and that my mother might help me. I definitely do prefer women who are outspoken or aggressive in some way and especially women of different backgrounds from me. I have been using Tinder for a bit, I found it odd that somehow, I keep meeting women who work long hours, are career-driven, and have high testosterone (when I met them I checked their 2D:4D finger ratio). Anyway thanks again, today I mulled over whether or not to apply for a masters again, I think basically I will try to apply for a few top schools and see whether I can get a scholarship. If I can't, then I will apply for a distance study masters while working. I am looking to get into a technology sales job, and a lot of these now require degrees in STEM too. the 2 planets are both in air signs... so, hopefully some of the trad gurus can comment on this more at length as it has always mystified me coming from modern astrology and thinking in terms of degrees, as opposed to signs.. The answer is: yes and no. Most traditional authorities would not consider this a square since the signs are in trine to each other. Traditional astrology, and in particular Hellenistic Greek astrologers used the signs to determine the aspects. The closer they were in degrees to each other, the stronger the aspect. Degrees were not the determining factor. In this case the signs are harmonious but the degrees fall within an orb for an inharmonious aspect. Some traditional authorities disagreed; two come to mind: Ibn Ezra in the 11th century and Morinus in the 17th century. There are probably others. What it comes down to is if the degrees or the signs are most important or perhaps how much influence we grant to aspects. Aspects seem to be the most important factor to modern astrologers, but, rule of thumb, traditional authorities gave far more weight to house position and dignity than aspects. If you're going to use whole sign houses, and I think that's a good idea, for consistency's sake I'd avoid the use of out-of-sign aspects. Venus is in Libra, the exaltation of Saturn and that is connection enough.